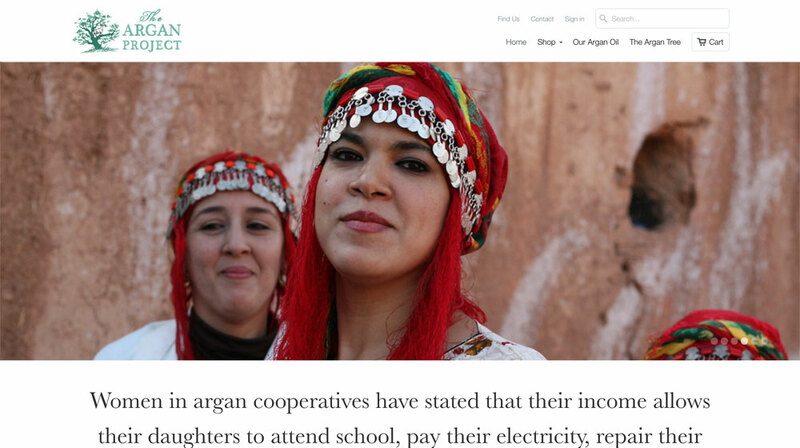 Founded by the wonderful Renda Nazzal, The Argan Project connects Arganams–a female owned and operated argan cooperative in southwest Morocco–with consumers in North America. In Morocco, argan oil production is mostly a female domain and for many women working in argan cooperatives has provided a way for them to gain independence. Through enabling the women of Arganams to sell their products to a larger market, The Argan Project aims to further female empowerment and employment in the region. Renda reached out to get a site built that was modern, clean, and clearly communicated her business’ mission. We are so pleased to have collaborated with her to put together a site that matched her vision.